Listen to "Tigers and Devils" on your iOS and Android device. The most important things in Simon Murray's life are football, friends, and film-in that order. His friends despair of him ever meeting someone, but despite his loneliness, Simon is cautious about looking for more. Then his best friends drag him to a party, where he barges into a football conversation and ends up defending the honour of star forward Declan Tyler-unaware that the athlete is present. In that first awkward meeting, neither man has any idea they will change each other's lives forever. Like his entire family, Simon revels in living in Melbourne, the home of Australian Rules football and mecca for serious fans. There, players are treated like gods-until they do something to fall out of public favour. This year, the public is taking Declan to task for suffering injuries outside his control, so Simon's support is a bright spot. But as Simon and Declan fumble toward a relationship, keeping Declan's homosexuality a secret from well-meaning friends and an increasingly suspicious media becomes difficult. Nothing can stay hidden forever. Soon Declan will have to choose between the career he loves and the man he wants, and Simon has never been known to make things easy-for himself or for others. I really liked this book and was mad that I let a bad review from stopping me from reading it earlier. This reads smoothly, it's not raunchy or filled with stupidity. A book about 2 men that are in a relationship that becomes complicated due to their inexperience. They have ups and downs, high and lows but they work. 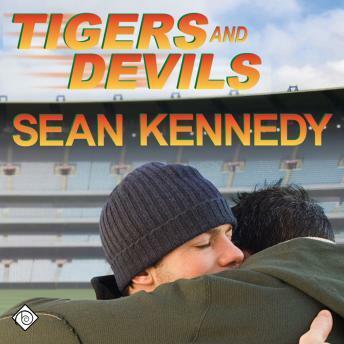 Great read and I am looking forward to Tigerland the continuation of this story.